MSG150 is on a bit of a roll. Except for a single turdlet, since Unicorn Crepes we have had a string of great lunches. 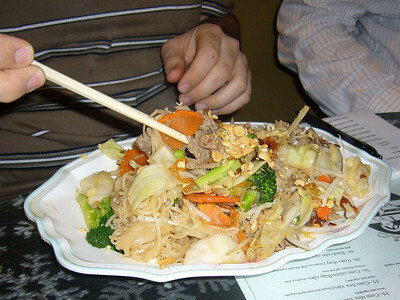 And we have three of MSG150 favorites coming up: Vegetarian Bistro, which we had to skip today since it's closed Tuesdays, Pho Bac, and Jade Garden. Do they use MSG? : No... but the server didn't seem to understand the question very well. So, we really don't know. Where is the owner/chef from? : Vietnam, somewhere in the south. This place is LEGENDARY. All Pho places pale in comparison to the greatness that is Pho Bac. I've had the privilege of eating here dozens of times since working in Pioneer Square. The store front is small, opening into a large, quaint place that is nearly always crowded. The servers are always friendly and courteous. The first 30-45 times I came here, I ordered number 8 small – Pho Tai. It’s Pho with beef broth, rice noodles, some steakums. Add some thai basil, sriracha, hoisin sauce, and a squeeze of lime and you have the best bowl of soup ever. Others swear by the Jalapeños, but I don’t need it. I gently branched out into the other dishes. 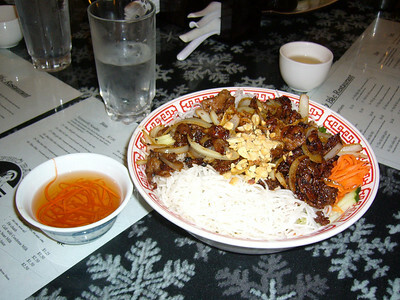 The Vermicelli noodles, if it’s at all possible, could potentially be better than the Pho. They give you some cold noodles, your choice of meat, some veggies, and sometimes some salad greens. You then pour the fish sauce over it and it’s ridiculous. This time I opted for the Cơm (white rice), which like the Vermicelli is served with meat, salad greens, and fish sauce. 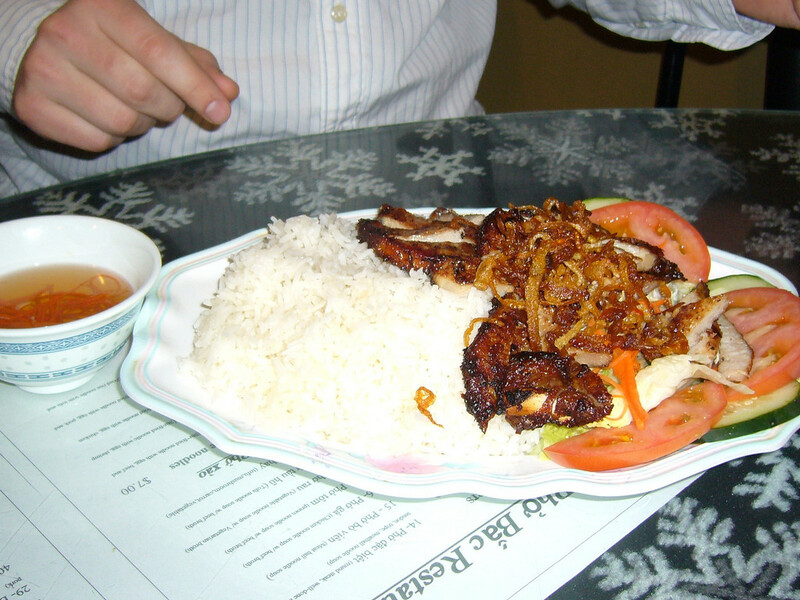 I got it with grilled pork, which is really good. I could come here and just eat their pork it’s so good. Pho Bac is a very popular lunch spot for the area tech industry and it has been a top tier spot for our group for years. It's quick, cheap, and DELICIOUS. The restaurant is small and usually busy, but there always seems to be at least one free table when we arrive. Luckily today was no different. The friendly woman who usually runs the front of the restaurant was in Vietnam on vacation today but the young woman (clearly related) taking her place was also very friendly and helpful in answering all of our questions. Today I went with the Bun noodles with BBQ Pork and was not let down. It was fantastic. 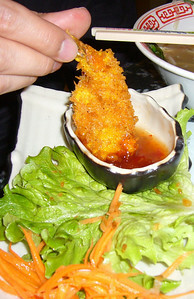 The portions were generous; the pork was delicous; and the fish broth was perfectly tangy. With the addition of some Sriracha it was the perfect lunch. 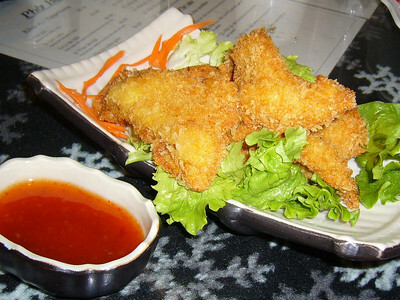 What is there to say about Pho Bac? This is a place where you can go to lunch 100 times, and still love it. In fact, I would classify most of the people on the MSG150 as Pho Bac Century-ans. I knew what I was going to rate Pho Bac before we even got there. Its a 4. Amazingly consistent. Good food. Great service. I ordered the fried Pho noodles with beef this time, to try something new. Guess what? They were awesome. The noodles were tasty. They gave me a nice big portion of them. The beef was flavorful and tender. If you're going here, start off with the standard Pho soup. You may not think you'll be able to know a good Pho broth when you taste one (because you're dumping Sriracha in there), but you can definitely taste the love in this broth. The next time you go, get #29, the Bun noodles with pork. They're excellent... but make sure you're not going going on a cross-country road trip with friends, because they'll hate you and the fish-sauce you ate. Go here. Go here. Go here. Always good food. Very consistent. Delicious. I was pleasantly surprised by the flavor of the Pho Bac soup. I’ve had it before (several years ago), but my ability to distinguish the quality of pho soup has improved since then. I guess after having worked in the U-District for a few years and going to all the pho restaurants on the Ave I’ve had a chance to compare. 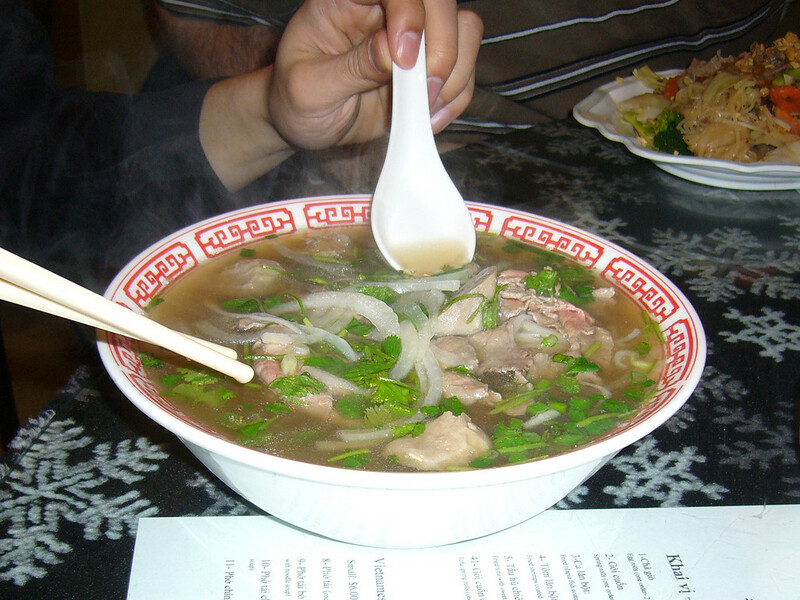 Than Bros., for example, has the most bland flavored pho soup… they actually used to be my favorite until they started watering down the soup. 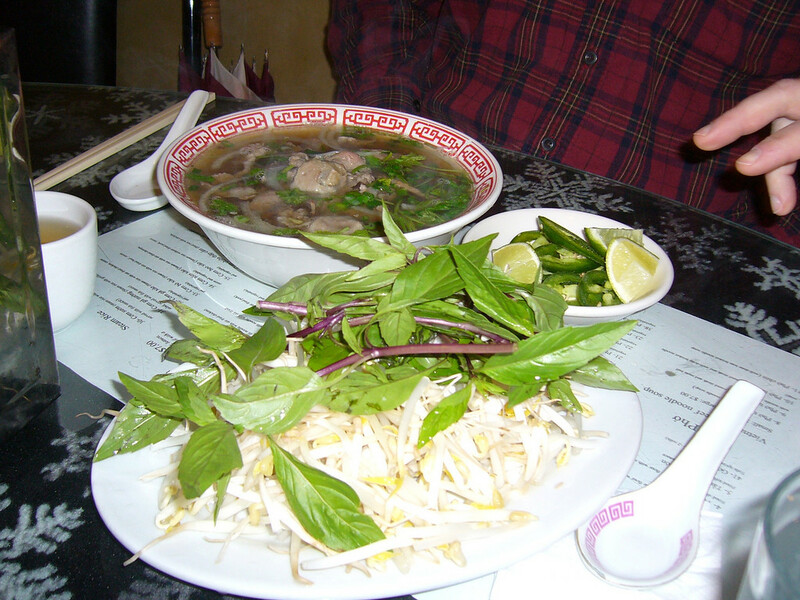 Pho Bac, on the otherhand flavors the soup properly. 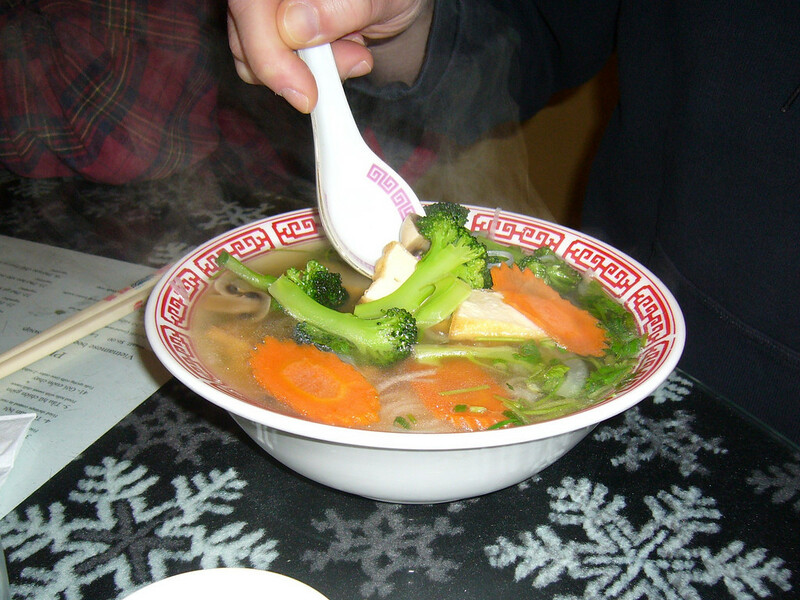 My only complaint was that it wasn’t hot enough… hot soup is a must for any noodle soup, which is the only reason I’m not giving a 5. 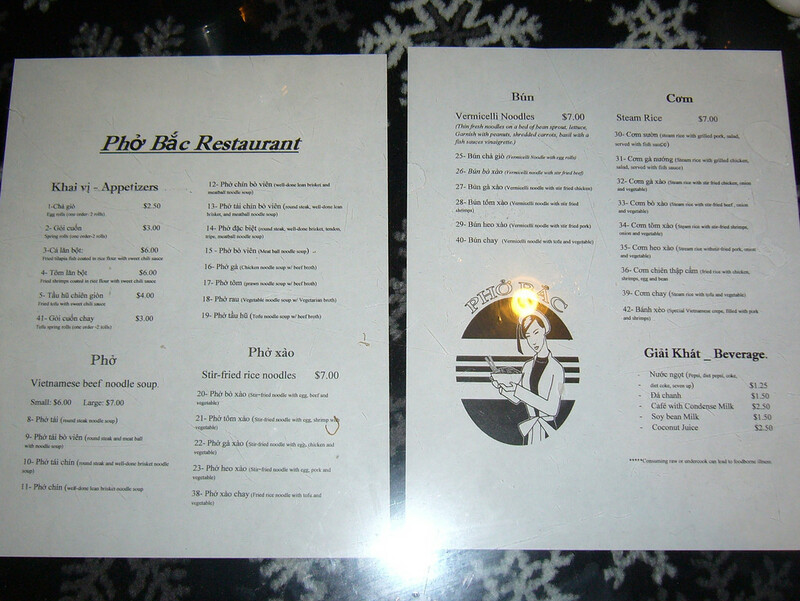 For a 5 chopstick rating bowl of pho try either Pho My Chau on Rainier or Pho Cyclo on 1st Ave. Pho Cyclo costs more, but the restaurant has a nicer atmosphere and its cleaner inside. Only wish Pho Bac were closer to the office. Mmm, pho. 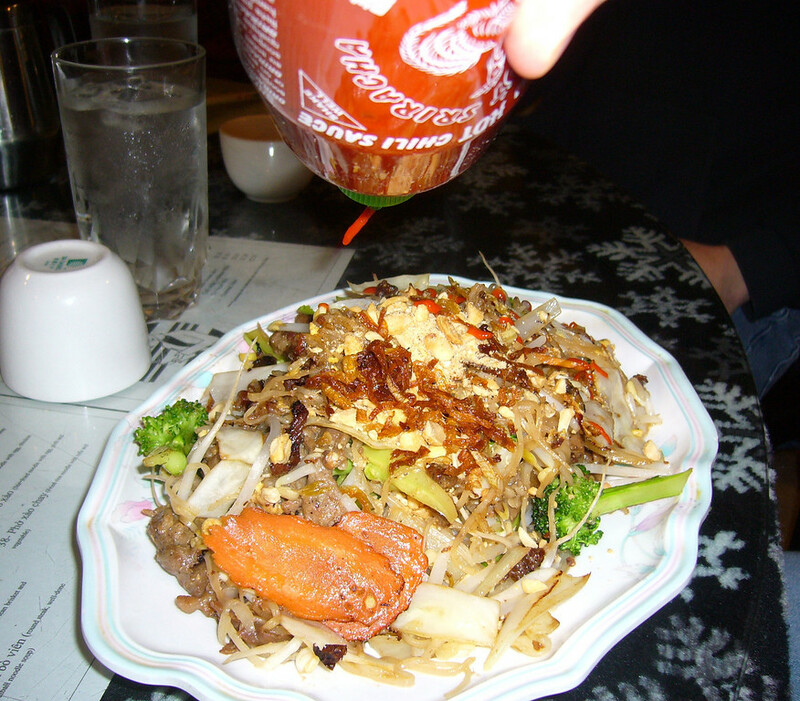 It seems like in the past few years a lot of pho restaurants have opened in Seattlte. Some are good, some not so good. Pho Bac has been around a long time, and they're still one of the best around (at least in this location -- I wasn't so impressed with the one they opened on Broadway). I'd assumed that I'd be giving Pho Bac a five chopstick rating because it's been a favorite of mine, but then I went and had the veggie pho for the first time since I started tagging along on the MSG150, and, well, it just didn't quite taste as special as it usually did. Not sure why. Maybe it's because of all the other noodle soup places I've been to recently, or maybe because the omnipresent pho lady wasn't working that day, or maybe because the broccoli in the pho was just a touch too soft. I don't know. But all these things are adding up to a four. It's a good rating, so I shouldn't feel guilty, but I still do. Forgive me, Pho Bac! 1) why no summary this time? 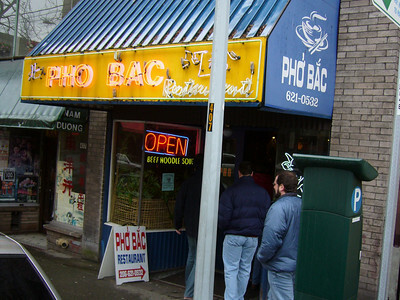 2) we all know this, but newcomers won't: pho bac is cash-only. if there is a downside to pho bac, that's it. otherwise it's excellent, and if i'd gone i'd have given it 4 chopsticks, because my lunch would have been great, because lunch at pho bac is always great. Thanks for catching that. Stats section is now in. Pho Bac is the bomb! I have (what I believe) is the record for consecutive business day consumption : 6. Do yourself a favor and walk up further to the Pho Bac on Jackson and Rainier. It is the original Pho Bac and still the best. I still love the place and go there two to three times a week against my doctor's recommendation. I am VIetnamese and would like to meet up with you guys for a lunch or two in the ID and compare notes. I think Pho Bac is one of the worst tasting Pho places in Seattle. Have you guys tried Pho So #1? Been here twice now, and have one comment. 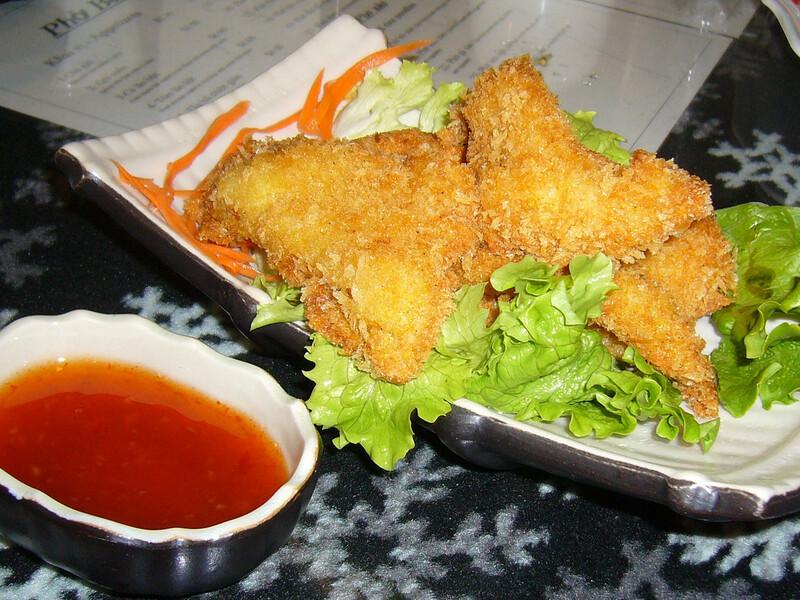 Don't bother to call ahead for take-out. Both times that I've done so, they didn't start making my order until I walked in the door and confirmed what I'd ordered over the phone already.